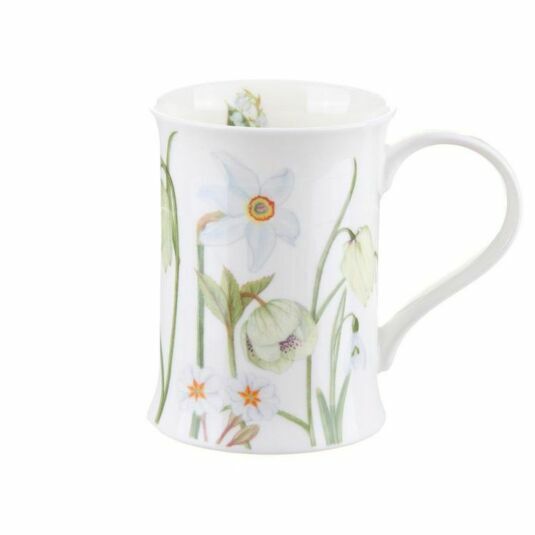 This beautiful mug in the Cotswold shape is part of a collection of 3 designs in a range called Sonata. 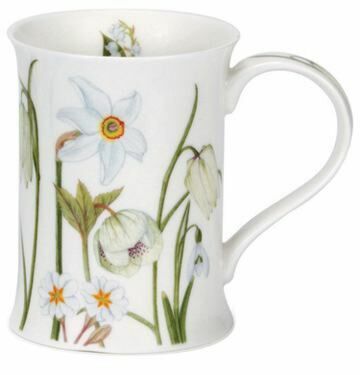 This design features lilies, duffodils and other flowers in shades of white. Its simplicity is sure to be loved by all Dunoon collectors.